winning on eBay in 2010 literally told the story without one word having to be uttered or typed. Posted in News and tagged Annie Ralston, Belle Starr, Dallas Hunt, Dr. Reuben Samuel, Francis, Frank James, Harriett Amanda “Mandy” Austin Jackson, J.Z. 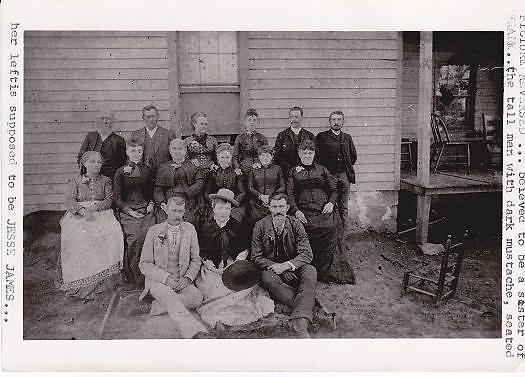 Jackson, James “Jim” Floyd Jackson, Jesse James, Julie Jackson, Lee Starnes, Lizzie Wallace, Mary Ellen Barron, Patrick Marquis, Quantrill, Sara Jackson, Solomon Andrew Jackson, Susan James Parmer, Zerelda James Samuel. Bookmark the permalink.